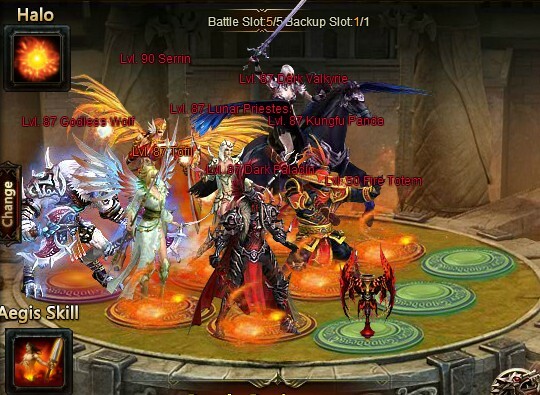 North America Forum»Forum ›League of Angels ›General Discussion › Which is the best hero (for me)? Which is the best hero (for me)? Please vote, witch hero is the best!? Can You help me to choose?! Witch hero I swap in HoC event?! 1.) Where is the best position for Santa? 3.) Which two heroes leave the current team? 4.) What is the best heroes positions of my new team? 5.) In S70 server, who will marry (Me: Lv87 female char)?! Thank You for answers and for help too! 4)Position in team changes often. There is nothing as a constant position. U have different setup for PVP and PVE. In PVP u may have to change your formation according to the opponent\'s setup. Thats a thing u need to decide. 3)well if u want to kick 2 heros then it should be Dark paladin and either Dark Valk or Lunar. 2)Yasi is awesome . But i would suggest to save the card to get LE and MOD. Those are the best Heros. Which is the best from the list? Where (and how);can I get this char? Wait for another HOC. Most Probably that will be a Large One. From there u can get LE. AFter u get LE try to get MOD as fast as u can..
What makes it so good is the LE (and MOD) hero? Rage is the most important think in this game now. LE/MOD are the best rage providers. In addition to rage they also provide Hp,Agility and atk buff. and ye MOD is Immune to stun. 2019-4-21 13:01 GMT+8 , Processed in 0.068063 second(s), 53 queries .